How Can You Speed Up Hair Growth? What makes our hair healthy? What is it that we need to change? In 2002, the professor of the University of Portsmouth in UK wrote a comprehensive article on hair loss, explaining that hair loss can be with skin shedding (scaling) and without it, and while the first one is related to skin disorder, the common cause for hair loss without skin shedding lacks data. The widespread belief was that zinc deficiency was the main cause. On the other hand, iron deficiency was proven the cause of hair loss, and vitamin E and B7 to be the vitamins that strongly affects the hair growth. Although healthy and beautiful hair has the key role in the appearance of both genders, hair is more complex than we anticipate, because, for instance, hair helps transmit sensory information. Hair growth is random, not seasonal or cyclical. A developing fetus has all of its hair follicles formed by week 22, with 5 million hair follicles at this stage (one million on the head). Hair on the scalp grows about 6 inches per year and, at any given time, the hair is in one of the three stages of growth and shedding – anagen (the growth phase that usually takes 5 years), catagen (the phase in which the hair follicle shrinks) and telogen (the phase where hair rests or falls off). A person loses about 50 to 100 of hair strands per day – when you wash your hair you lose up to 250 strands. If you lose more than this, it might be that you suffer from a severe problem. #1 Genetics is the major cause of hair loss. No treatments can cure hair problems caused by heredity; however, one can delay the process by taking care of the hair. 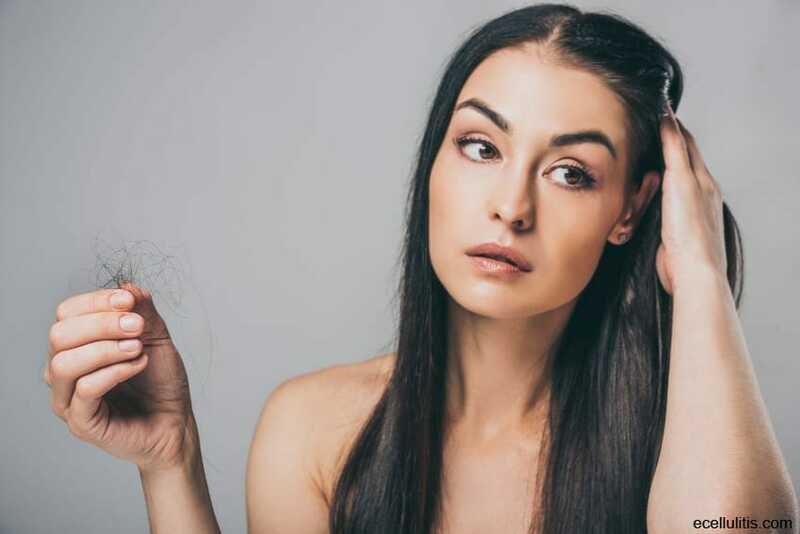 #2 Unhealthy diet is the other main reason behind hair loss – low protein diets can lead to essential nutrient deficiency that causes massive hair shedding. Vitamins and minerals deficiency causes hair thinning and hair fall. #3 Certain diseases can cause temporary hair loss but can be cured once the body is rejuvenated and in good health. Infection of the scalp, flu, fungus, typhoid and other more serious illnesses lead to temporary hair loss. Moreover, certain drugs and medication can cause temporary hair loss as well. #4 Stress is certainly one of the most “silent” hair loss causes – it affects all the process in the body causing tiredness, anxiety and depression, and affecting the natural process of rejuvenation of the body. #5 Cosmetics can cause severe hair loss – chemicals are able to clog the scalp pores forming a layer over it and having adverse effects on the hair and scalp. Most shampoos contain harsh chemicals that destroy the hair, thus, it is better to switch to natural products. #6 Hair treatments – dyeing, bleaching, perming, combing – these are all contributing factors to hair loss. You probably already know the answer – genes, proper diet, and hair care routine. We can’t change our genes, but we can change our improper diets and bad hair care habits. Most problems related to hair loss or slow hair growth are caused by malnutrition or improper hair care. For hair growth, diet has an important role for healthy hair that needs to be nourished from the inside. A well balanced diet should include fresh fruits, vegetables and food rich in vitamins and minerals essential for hair growth. Which vitamins and minerals? Vitamin C is important for our immune system and it has the ability to cure premature graying and hair dryness. Food rich in vitamin C are lemons, mandarins, guavas, strawberries, and other citrus fruits. Vitamin E protects the hair from drying out, keeping it shiny. Almonds, milk, fish, spinach, sunflower seeds and peanuts are rich in vitamin E.
Vitamin D promotes follicle growth and it is crucial for the regeneration of the hair. Vitamin B7 or Biotin, a part of the B complex group of vitamins, is required to keep the hair healthy. It helps strengthening the hair; assist in metabolizing proteins and fats and aids in the production of fatty acids within cells. Food rich in biotin are eggs, yeast, raspberries, bananas, walnuts and almonds. A sign of not getting enough biotin or B complex vitamins are weakness and tiredness of the body and easily bruising. Zinc, iron, magnesium and calcium are very important minerals for the hair growth – each of the minerals is responsible for some important functions in our organism. Healthy lifestyle is important for healthy hair, and exercise is a great way to get rid of stress. Jogging, swimming, weight lifting, cycling, dancing or walking – these are all ways to exercise your body and help it process food better, induce sleep and reduce stress and anxiety. Emotional stress can severely affect the health of the hair, halt the hair production and contribute to baldness. To keep your hair healthy opt for at least 20 minutes of regular exercise; one can also strengthen the body with yoga or meditation. Regular trimming is necessary to get rid of split ends, and encourage hair growth – split ends are one of the major reasons that inhibit hair growth. It is good to trim your hair every 3 months. 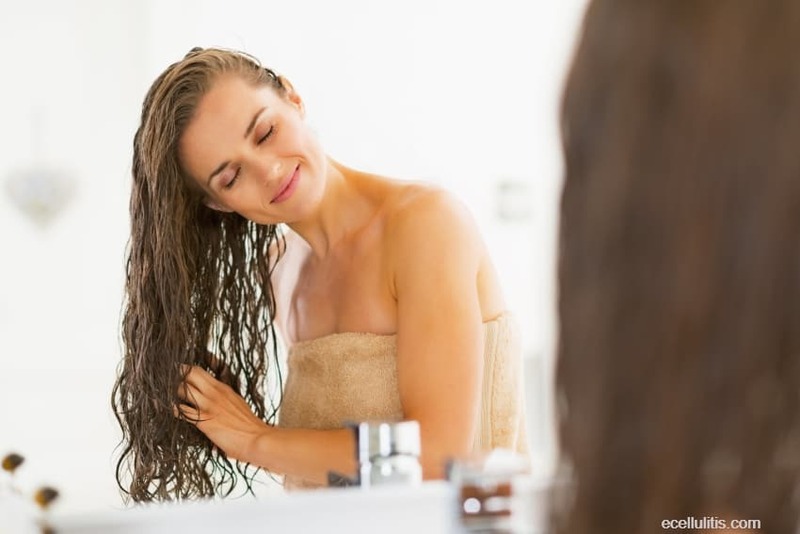 Washing your hair with natural shampoos and conditioners is also very important – the sebum produced by the oil glands form a layer over the scalp, which in turn inhibits the growth of hair. Frequent shampooing is also harmful because it will make the hair dry and prone to breakage. To keep your hair healthy, wash it twice a week. You also need to protect your hair from pollution, sun and dust. Consult a dermatologist about the ways you can protect your hair and use hair growth treatments. Homeopathy for hair loss might also be a good way to treat hair loss, although it gives slower results. Haas, E.M. (2006). Staying Healthy with Nutrition, rev: The Complete Guide to Diet and Nutritional Medicine. Celestial Arts.